Protecting Yourself With Joint Formulas: Take Action & Discover What Works! One critical supplement that you don't want to overlook is that of joint formulas. Joint formulas are designed to help protect the joints when they are experiencing a great deal of stress every day... Learn more. With all the different workout supplements out there, many of us put a lot of attention on the products that are aimed to help us build muscle, reduce fat, or give us more energy, but few of us take into consideration supplements that will help improve our overall health and longevity. One critical supplement that you don&apos;t want to overlook is that of joint formulas. Joint formulas are designed to help protect the joints when they are experiencing a great deal of stress every day, as is often the case when you&apos;re participating in a highly demanding weight lifting and/or cardio schedule. During A Highly Demanding Workout. The big problem many people get into is that they don&apos;t even consider a joint formula before it&apos;s too late and the joint problem has begun. By that time, then you&apos;re looking at treating pain that&apos;s already there, which is much more of an intensive process than preventing pain from developing in the first place. In addition to getting on a good supplement protocol, you&apos;ll also want to double check your form on all your lifts to ensure there aren&apos;t any problems there, and then also look into getting good quality footwear, as improper shoes will most definitely put your joints at a higher risk of developing injury or pain. When it comes to the actual joint formula supplement itself though, there are certain ingredients you&apos;ll want to really look out for. The first ingredient that you should definitely be getting is glucosamine. Glucosamine has the primary role of maintaining the structural framework of the connective tissues in the body, which includes all your ligaments and tendons that often become swollen and inflamed after a hard weight lifting or cardio workout. The body is able to absorb glucosamine quickly upon consumption, and a good typical dose that you want to start at is about 500 mg taken three times a day. 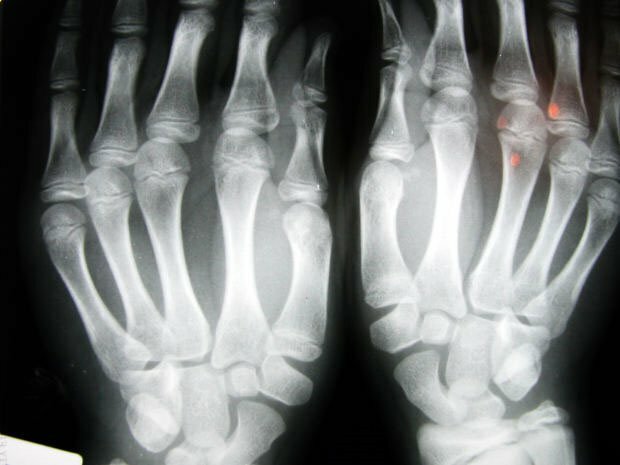 Individuals who also suffer from arthritis are often advised by their doctors to start using a glucosamine supplement, so if this disease runs in your family, again, it&apos;s something you really want to consider. Next up on the list is chondroitin. This is another supplement that is very often paired together with glucosamine in order to help treat arthritis or those suffering from bone conditions. In the body it has the role of interacting with proteins in the extracellular matrix and helping to regulate a variety of cellular functions, but also does play a part in helping to maintain the structure and integrity of the body tissues as well. In a recent study performed out of the University of Maryland School of Medicine, researchers found that when subjects were given a combination of both chondroitin and glucosamine, there was an improvement in knee joint swelling, as well as some improvement in pain in those who were experiencing moderate to severe knee problems. Most often with joint formula products, when glucosamine is present, chondroitin will be as well, so you&apos;ll be getting the combined benefits of the two supplements. MSM, which stands for methylsulfonylmethane is present in all tissues of your body and helps to provide the materials the body needs to properly assemble its tissues. Typically health professionals recommend that those who do not take in a great deal of the mineral sulfur supplement their diets with MSM, however, for those concerned with knee and joint pain, it&apos;s a good idea to add it to your usual supplement regime as well. Individuals who supplement with 1500 mg per day of MSM tend to show reduced symptoms when suffering from osteoarthritis, as well as it helps to bring the inflammation down, speeding recovery from the daily wear and tear on the joints and ligaments. show reduced symptoms from osteoarthritis. You can purchase MSM entirely on its own if that&apos;s what you would prefer, or buy it in combination with the other two ingredients listed above. Either way, it will be one of the more important supplements to look at when trying to protect your joints. Probably the most commonly known joint supplement that people take is calcium, which also deserves mentioning. The problem is that many people who are very concerned with fat loss start to reduce their intake of dairy products in their diet, being led to believe this will hinder their goals. With this reduction in dairy comes a reduction in dietary calcium consumed as well, which then puts your bones at a high risk for being depleted. Since the body needs calcium every day for other functions including proper muscle contractions during your workout as well as good nerve transmission. 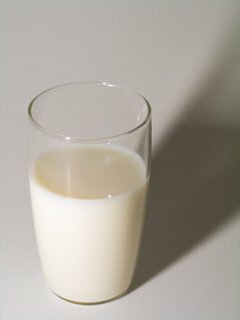 fat loss start to reduce their intake of dairy products. When the diet is low in calcium, then the body will begin reaching into the stored calcium deposits in the bones to get this needed calcium, causing a weakening in the bone tissue itself. If this is left to go on long enough, you are then at a higher risk of stress fractures, osteoporosis, and other bone problems. So, by supplementing with calcium you&apos;ll help to provide the assurance that if you aren&apos;t getting enough in your diet, your body has extra to spare the calcium that&apos;s already stored in the bones. Even if you are eating plenty of dairy products, it&apos;s still not a bad idea to consider supplementing as well, since this will definitely help safeguard you optimally. It&apos;s recommended that you aim to get in 1300 mg of calcium a day if you&apos;re between the ages of 14-18, 1000 if you&apos;re between 19 and 50, and 1200 if you&apos;re 51 or over. Finally, the last supplement to consider as far as your bone health is concerned is vitamin D.
The reason vitamin D is important is because vitamin D is the vitamin that&apos;s going to help the mineral calcium be absorbed properly. So, even if you are taking steps to ensure you&apos;re getting enough calcium in your diet, if you aren&apos;t getting enough vitamin D, you could still be at risk for the problems discussed in the last point. The typical recommendation for vitamin D intake is set at 5 mcg (200 IU&apos;s) per day for men and women between the ages of 14 and 50 and 10 mcg (400 IU&apos;s) per day for those 51+. Yes, It&apos;s An Excellent Supplement. No, It&apos;s Not Very Appealing. No, But I&apos;ll Try It. So, be sure you&apos;re considering these supplements when trying to protect your joints. While getting enough bone-bearing exercise is definitely going to be important as well in building healthy bones, a good joint supplement can take your bone health to the next level. Clegg, DO & Hochberg, MC. 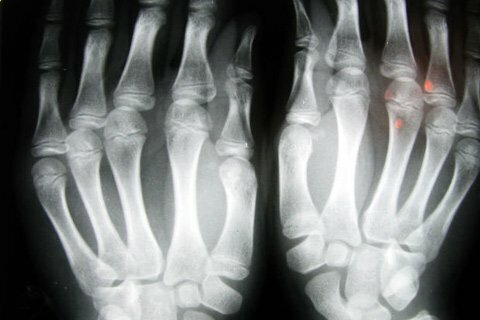 (2008) Osteoarthritis Cartilage. Potential effects of chondroitin sulfate on joint swelling: a GAIT report. 16 Suppl 3:S22-4. Vitamin D - Why It&apos;s Essential For Muscle Health!